There are endless creative ways you can reuse Glad candle jars. Use these glass jars to make new candles or as containers for jewelry, makeup, and other items. Stenciling isn't just for wood, walls, or paper. Try your hand at stenciling Glade candle jars for a fun art project. There are many free stencils available online you can print and use. Paint the jar using the stencil or use a glass etching technique. Use these decorated jars in any number of ways. Hold art supplies, such as sponge brushes, tubes of watercolor or oil paint, and craft supplies. Decorate to use in your bathroom to hold cotton swabs, cotton balls, bath beads, and soaps. Create gold, silver, or other colored glitter jars. Use an adhesive and sprinkled glitter and then seal with a clear adhesive like Mod Podge. Using decoupage techniques, you can use craft products to adhere different materials to glass, such as plastic, glass, wood, and fabric. For example, use faux plant leaves and a little Mod Podge adhesive to create a unique jar container. Paint white plastic spoons red, gold, pink, or other colors to imitate flower petals. Carefully break the spoon bowl from the handle. Spray paint both sides of the spoon bowls and the outside of the glass jar using paint that will adhere to glass. Start at the top of the jar with the spoon tip pointed up and glue it to the jar. Once the top row is completed, continue to the next until the entire jar is covered. Place a votive inside the jar. 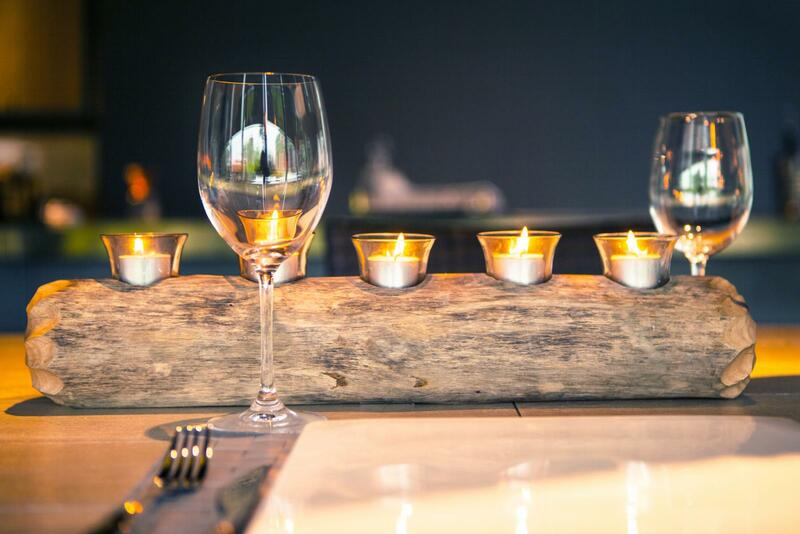 Make a candlestick holder from your Glade candle jar. You can purchase a cheap glass candlestick from Target or Dollar General. Using a glass glue, attach your Glade jar to the glass candlestick. Allow it to dry before using. You can use this for a votive candle. Leave the glass clear or decorate it. Use multi-surface paints, acrylics, or glass paints for this project. The goal is to create a decorative jar with a variety of flowers. You can either free-hand paint flowers or use stencils or cut-outs to decoupage them. Add flower shape stickers and use your favorite finish, such as those by Mod Podge. You can create a really cool vase for a small floral arrangement. Print a design, such as one used for arts and craft paper or fabric. Use a photo transfer method, print it onto burlap fabric, or use a parchment paper. Cut to fit the jar and use Mod Podge or another adhesive to decoupage it to the candle jar. You can use stained glass paints for this project or use colored tissue paper. Select different colored tissue paper, glue, and a silver paint pen. Cut the tissue paper into various stained-glass shapes or use free stained-glass patterns and outline the sections with the pen. The easiest method for transferring a photo is to use clear contact paper. Print the image you want to use and adhere it to clear contact paper. Using a credit card or a flat utensil, rub the card edge over the paper, applying enough pressure to smooth out the paper. Make sure you cover the entire surface so the printed image transfers to the contact paper. Soak the entire paper/contact/image in a bowl of warm water until the paper begins to peel. You may need to assist by running it underneath a faucet. Once removed, the image will be left on the contact paper. Allow it to dry and restore contact paper adhesiveness. Apply the contact paper to your candle. Depending on the finish you desire, you can stop at this point, or you can apply a frosted finish or add decals or other decorations to frame the photo. You can create some unique holders with a little lace and an embroidered applique. Glue the lace and applique to the jar. Add an embellishment or two with pearl beads or various glass/plastic beds. There are many creative ways you can reuse Glade candle jars. With different craft techniques, you can give these jars a second life as part of your home décor.